Impromptu adventures are not to missed. And this is of greater value, when said by someone like me who always plans every detail of every trip well in advance. I hadn’t left the place where I live, not even for a day trip, for a few months – back in January I started the process (visits and such) to have a surgery I couldn’t keep postponing, then I had to wait for the hospital to call me, I had surgery at the end of May, then recovery… In conclusion, I spent the first half of the year waiting, in a limbo I couldn’t wait to leave. Yet, at the end of my convalescence the stagnation I had lived in during the previous six months didn’t leave all at once like the curtain rising on my life’s stage – as I had hoped. I finally had my freedom back, but at first I didn’t know what to do with it, it was as if I could no longer remember how to really live. During the wait I had lived in a cage – a warm one, AKA comfort zone – and, when you stay there for too long, you may end up forgetting that outside that “safe area”, beyond the fear gate, is life, a rich, meaningful life; you may end up seeing the gate and only darkness beyond it. So why not staying in the warmth of the comfort zone? Why risking safety in exchange for the unknown? Within the “safe area” life is tranquil, things are not too bad, you could almost get used to it… yet the moment comes when you realise that all you can see around you is grey-coloured and that that grey has started penetrating you too: you are slowly fading. But you have always dreamt of a life full of colours, you can’t live in the grey-area taking the risk (and this is a huge one) of waking up one day and regretting not having lived the life you wanted because you let fear lead the game and stop you. Held by these thoughts (that could hardly make their way through doubts and fears), I welcomed a friend’s proposal: I got ready in five minutes and we left for a day and a half on the Island of Elba. A very short trip, but a necessary one in order to become the leader of my life, once again. Some say that when you ride the right (energy) waves life easily flows and everything effortlessly aligns. I must start believing it, because it is what actually happened – along the way, I remembered that one of my mother’s cousins currently lives on Elba; I called him and he not only was our host but also gave us useful advice on how to best enjoy our little time on the island (and he even lent us his motor scooter that made our stay even more pleasurable). Beauty, lightness, magic: the best three words to describe this trip. Even if I am still training to remember how to fully live and how to act despite all fears in order to live the life I dream of, this impromptu adventure has reminded me of the taste of freedom and of something I need if I want to be happy. I want to go get everything this abundant life has in store for me. P.S. 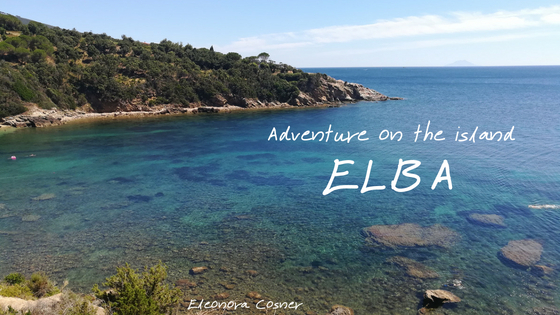 : my mother’s cousin, Michael, can help you too live a great experience on the Island of Elba – you can find him here.